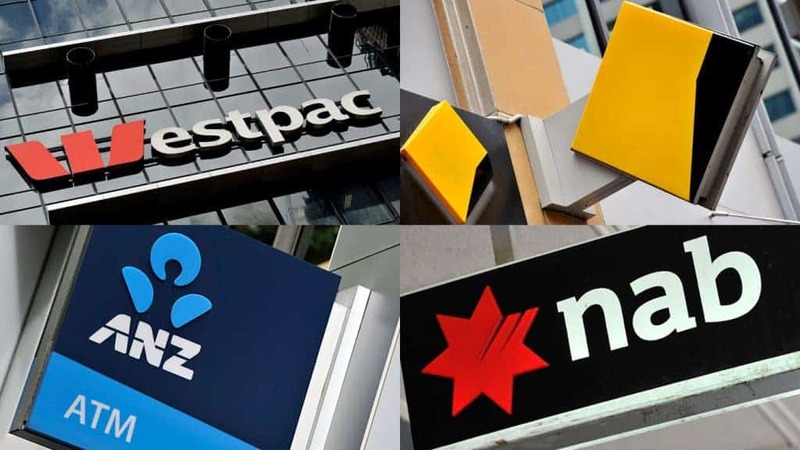 How the royal commission will affect the banks (CBA, NAB, WBC, ANZ) - Monthly Newsletter, May Edition | MF & Co. Welcome to the May edition of the MF & Co. Asset Management monthly newsletter. One of the recurring questions we have been asked, especially from our Wealth Management clients who are holding banks long-term, has been whether the banks are still good stocks to hold. In our opinion, banks are as solid as they have ever been and in fact, the recent route in price is really an opportunity to buy more at a lower price. Even though the royal commission has uncovered some major issues in terms of the way the banks have operated, this does not affect the bank’s bottom line significantly. As an example, the majority of the issues coming through right now are from their financial planning arms. However, as an example, the financial planning arm of CBA only accounts for 2.3% of CBA’s revenues. Apart from Westpac, the other banks have or are in the process of divesting their financial planning arms. In our view, the bottom line impact from financial planning is immaterial and we don’t see their dividends been affected. In addition, banks and most stocks which pay a steady dividend tend to have something called a dividend floor. A dividend floor is when a stock price tends to form a bottom due to the amount of dividends they pay. For example, CBA currently pays an 8.6% grossed-up dividend yield – this is exceptionally high and there is generally no other asset that can pay this much yield. This tends to bring buyers in as they look to shore up their portfolio income. Most of the banks are now trading at a level where the dividend yield has become very high and an increase in demand for these stocks should be expected (as long as there are no more nasty surprises). The current grossed-up yield for the banks are CBA 8.6%, ANZ 8.2%, NAB 10.24%, WBC 8.9%. The Research team has been hard at work uncovering some good stocks in the past month. If there is any particular stock you would like for us to look at, don’t hesitate to give us a call. Here are a few pieces that we think could potentially add value to your portfolio. You can also search our library by going to the website and clicking on the magnifier icon on the top right to search for a stock. Galaxy Resources (ASX GXY) – speculative lithium play with cash-flow generated assets, poised to take advantage of strong electric vehicle and energy storage growth. Speedcast International (ASX SDA) – growth telecommunications stock with global customers from North America to Europe. Becoming a market leader in maritime telecommunications. Treasury Wine Estates (ASX TWE) – Owns major wine brands such as Penfolds in Australia, massive growth in earnings with exposure to the huge Chinese market. Sonic Healthcare (ASX SHL) – Significant revenue growth through global acquisitions and partnership with the Government’s National Bowel Cancer Screening Program. In mid-April, we felt AGL would find support at around $20.00. We sold AGL MAY 20.51 puts for a credit of 35 cents and were comfortable taking on the stock if the position was assigned at $20.51. Our prediction of AGL finding support was correct as we saw AGL go from a low of $20.16 on 23rd April to a high of $22.52 on May 3rd. AGL began to move sideways for a couple of weeks and went below $22.00. We decided to close the trade at 4 cents realising a profit of 31 cents or a percentage return of 89% for 29 days. If you had sold and bought back 100 AGL MAY $20.51 puts you would have received $3100 (excluding fees and charges). This is just one example of how our wealth management arm helps our clients generate income. If you want more information, give us a call. The AU model portfolio had a relatively poor April compared to the overall market, down 1.09% after fees. The model portfolio is still quite cautious and is currently 75% invested. The rally in April was almost all resource-driven, primarily thanks to OPEC manipulating oil prices up and the uncertainties around the Iran deal, which has caused oil to rally and resource stocks with it. Unfortunately, the model portfolios rarely invest in oil or resource stocks and have missed out on the April rally. Having said that, the AU model has performed strongly this year, up 17.79% YTD. You can view the full results here. The system has very strong capital protection protocols and will generally stay more in cash if there is a lack of momentum in the markets. The last reporting season wasn’t bad but it didn’t shoot the lights out either. The US model portfolio has been ultra-conservative in the past 5 months, ever since the US market corrected 10% in late January. The system was down 0.14% after fees. The system has now just gone back to 75% exposure, up from 25% a few months ago. Momentum from the US market is still very weak. Generally, during reporting season the system would detect 5 to 6 trades, however, we have only had one trigger for us in the first quarter reporting season. Ths is inline with the price action in the US markets, having experienced high volatility consolidations up until April when the market spiked due to oil. With the recent rally in the market, this may trigger more demand and bring the more cautious investors back in, thereby generating more momentum in the markets.